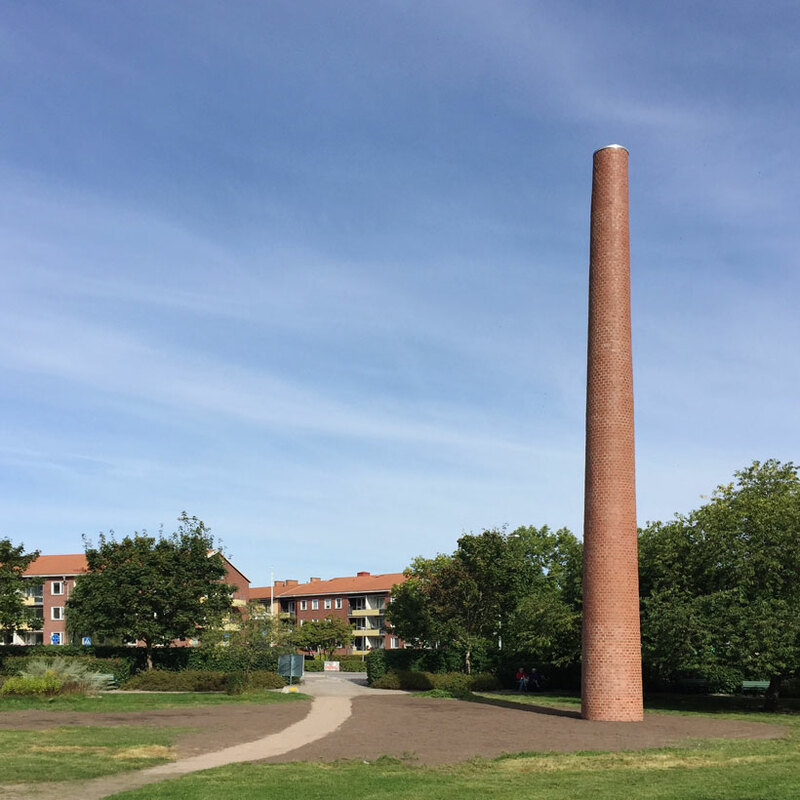 Photo by Petter Eklund of the Tenth Chimney, 19 m high, located in Tegnérparken, Uppsala, Sweden. Completed in early September 2015. Building team. Project image.